Attorney General Bob Ferguson said the Navy dumped the material while cleaning a decommissioned aircraft carrier. “You would think we would be at the stage where everybody, but especially the federal government, understands you can’t just scrape a vessel into Puget Sound. … It’s insane,” Ferguson said in an interview Thursday. 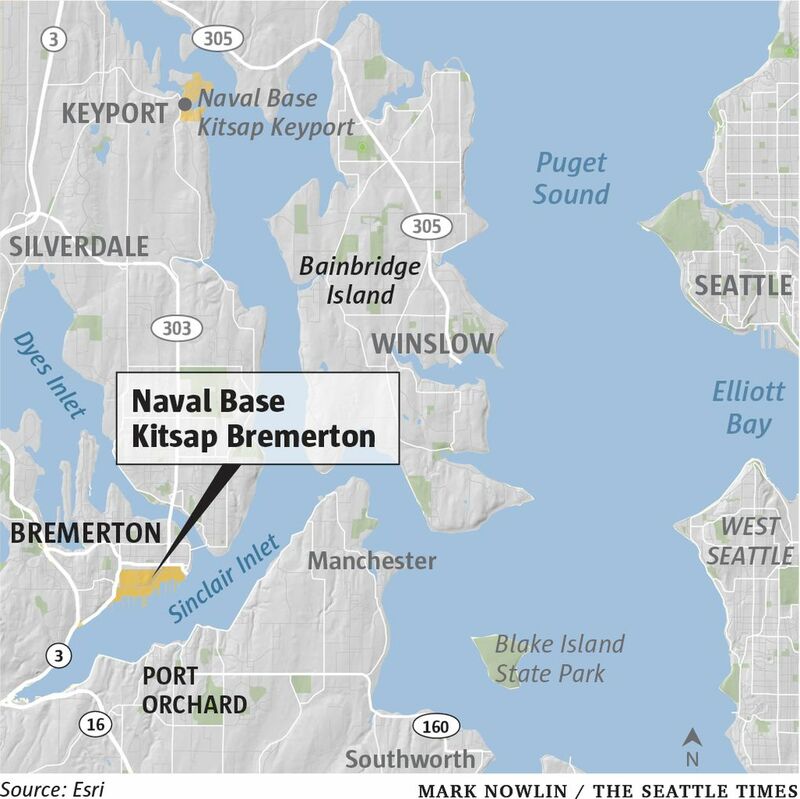 Ferguson’s office notified the Navy on Thursday of the state’s intent to join a suit in federal court to ask the Navy to clean up the mess and to require the Navy to stop scraping ships at Navy Base Kitsap and dumping the material in Sinclair Inlet. “People have this idea that we are past the days that there isn’t just open dumping into our waters, but this demonstrates all too clearly that is not true,” Ferguson said. Marine life, including salmon, is at risk because of the Navy’s illegal practice of releasing highly toxic pollutants including copper and zinc, Ferguson said. The Navy was scraping antifouling paint to remove possible invasive species before moving the ship. The Navy still has not contained the paint chips, which continue to leach pollutants into Puget Sound, according to Ferguson’s office. A Navy spokesman in Washington, D.C. on Friday referred requests for comment to the U.S. Department of Justice. There, calls and emails went unanswered during the continuing partial federal government shutdown. 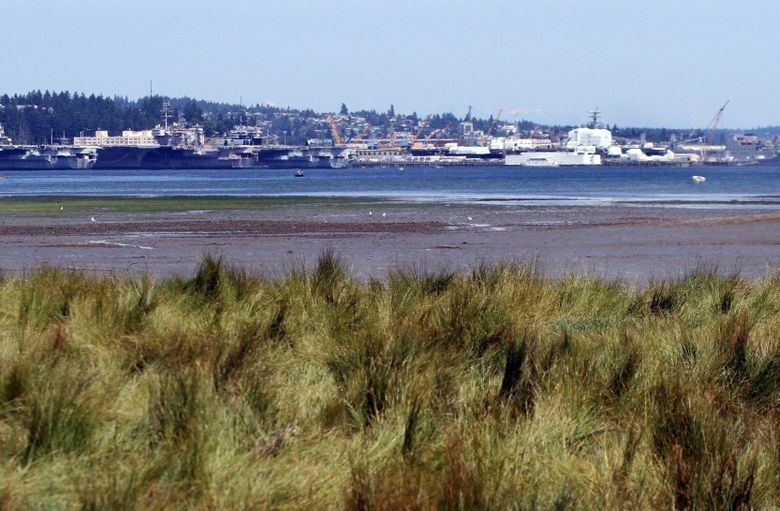 Puget Soundkeeper, the Washington Environmental Council and the Suquamish Tribe filed suit in 2017 alleging pollution of the Inlet by the Navy. In their suit, which the state may join, the tribe and nonprofits alleged multiple violations of the state Clean Water Act by the Navy by releasing toxic substances into the inlet without a permit while cleaning a decommissioned aircraft carrier, the Independence. Ferguson said his office decided to advise the Navy the state intends to join the suit after the Navy produced a report last October about what was in the materials scraped off the ship into the Sound. Another ship is also due for similar treatment, Ferguson said. “There’s more trouble ahead,” Ferguson said. The Navy has several months to reply to his letter. Clarification: In an earlier version of this story Ferguson indicated how much hazardous material was released. His office later said the amount was not known.